Looking to find a solicitor in Hull, Beverley, Driffield, Bridlington or East Yorkshire? Finding the right Solicitor can seem like a daunting task. You want someone who you can talk to in plain English and someone who will be there to support you with your matter whether it is buying a house, starting divorce proceedings or ensuring your loved ones are taken care of by a Will. If you’re looking to find a Solicitor then look no further than us. We have been helping people since 1890 and as one of the regions most established Solicitors we know what it takes to make sure you get the service you need. 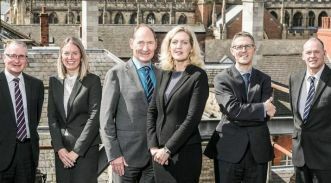 Williamsons Solicitors have the regions most highly regarded team of Criminal Solicitors lead by Bill Waddington and his team are a long-term fixture in the Legal 500 top legal firms. Our team of Family and Child Care Solicitors are lead by the renowned Sarah Clubley, one of the most respected Solicitors in our region and is Hull’s first female Under Sheriff in it’s 1000 year history. Our Clinical Negligence team is lead by Tim Slow and one of a select group of Solicitors in the UK to be a member of a specialist group of Clinical Negligence lawyers, AvMA, and has over 20 years experience in medical negligence cases. Our Clinical Negligence department is also ranked in the Legal 500. We are one of a a small number of legal firms in our region that has worked hard to achieve the Lexcel accreditation to give assurance that we offer the very highest quality client care and business standards. Williamsons Solicitors are also proud to be featured in the Chambers legal guide which is the industry leader in recognising excellence in the legal profession. We have our head office in Hull and a branch office in Beverley, Driffield and Bridlington so if you are looking to find a solicitor in our region then please speak to us. Please read some of the testimonials from our clients and we hope to be helping you soon.